New York Furniture Store Insurance. Furniture stores sell new, used, unpainted, or naked furniture along with mattresses, decorative items, floor coverings, window treatments, and electrical appliances. Some may offer to repair, strip, reupholster, paint or refinish used or naked furniture; others design and manufacture custom-made items. Interior design services may be offered, or the store may manufacture and install kitchens, bathrooms, shelving and cabinets. Stores selling larger items may offer delivery, set-up and installation services or may contract these out to others. As a furniture store owner, it is important for you to maintain insurance that adequately covers any potential liability and claims that may arise from doing business - a step that ensures that you remain profitable, no matter the financial climate. Work with an independent insurance agent to help you craft a New York furniture store insurance policy that protects both you and your business from the exposures and perils you face in day-to-day operation. 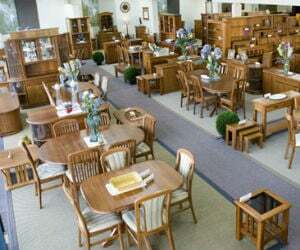 New York furniture store insurance protects your shop from lawsuits with rates as low as $47/mo. Get a fast quote and your certificate of insurance now. Business Property Insurance - Cover the contents of your furniture store or the warehouse where your furniture is stored with property insurance. This type of New York furniture store insurance coverage provides protection for hazards like fire, vandalism and heavy winds. This may include protection for things such as light fixtures, computers, furniture, fixtures or even flooring. Flood Insurance - Provides coverage against flood and water damage from flooding with flood insurance. Flood water can impact your NY furniture store in a major way. You can supplement your property coverage with a flood insurance policy, which is sometimes available through the National Flood Insurance Program. Product Liability: This New York furniture store insurance policy provides coverage for property damage or injuries caused by defective or faulty products you sell. NY Commercial Auto: If you have a delivery truck or van, protect it with an auto liability policy that's specifically structured for commercial use. Worker's compensation is also a good type of policy to own, and it is required by most states. 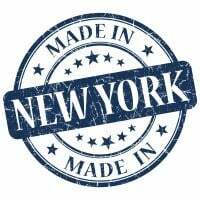 NY workers comp protects your employees from loss if they become ill or injured at work. Review your coverage needs with a licensed independent broker to determine if your portfolio contains the right levels and amounts of coverage for your individual needs. With the right insurance in place, you can rest assured that your NY furniture shop is completely guarded against perils that can and do arise during the course of business operation.